There also are a few plants that are insectivorous. These beautiful yet poisonous plants are found all over the globe depending on the nature and the soil type. Some of these poisonous plants use the poison within to catch its prey since these plants maybe of insectivorous or carnivorous type. The beautiful structures of the plants are basically for attracting the insects and other animals towards it so that they can fall into the trap of the plants. 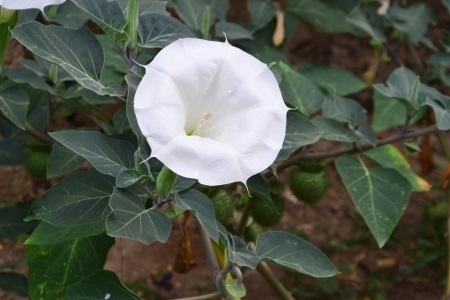 The other commonly known name of Jimson Weed is Datura. It is also known as thorn apple, moon flower, etc. Although this plant is often used in the making of medicine, the slight overdose of it can be fatal. The obvious reason for it is the fact that this plant releases toxic chemicals which very quickly can cause death. Every part of this plant contains dangerous levels of poisonous chemicals like tropane alkaloids, scopolamine and hyoscyamine. Those are together classified as anticholinergics or deliriants. Although the levels of toxicity produced by the plant parts differ from one plant to the other, it is always suitable to avoid this plant despite its beauty. 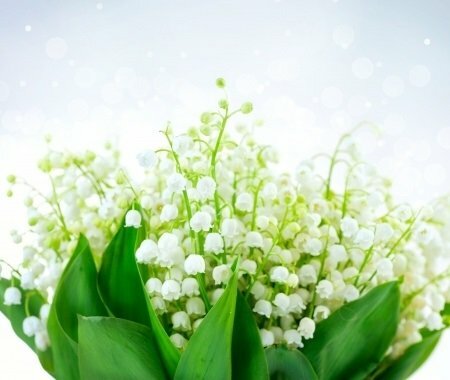 Mainly found in cool temperature, the Lily of valley is an extremely poisonous yet sweet scented flowering plant. Approximately 38 different varieties of dangerous cardiac glycosides, also known as cardenolides, are found in the various parts of the plant, consumption of which may be extremely fatal. Every part of the plant contains poison. The red berry which particularly attract children and animals contains the poisonous chemicals too, the intake of which can cause vomiting, stomach pain and a reduction in the heart rate. Other acidic chemicals like amino acid azetidine-2-carboxylic acid, saponins and such others are also present in this plant. The is also called by other names such as Poet's Daffodil, Findern Flower, Pinkster Lily, for its beautiful look andwonderful fragrance. These plants have rings of flowers in pure white color with a light yellow colored corona having distinct red colored edged. This is beautiful plant which is poisonous, specifically in the flower region. 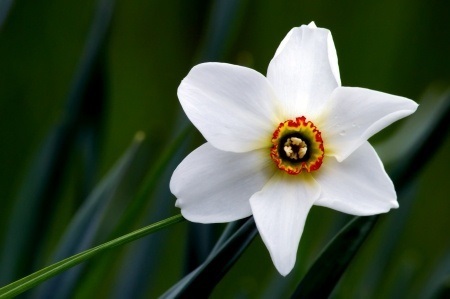 The consumption of it is extremely poisonous whereas, over exposure to the scent of the Poet's Narcissus can cause head ache and dizziness in most cases. The other common names of Wind Anemone are Wind flower, Smell fox, Timbleweed, etc. The bitter tasting poisonous chemicals are contained by all the parts of the plant, specifically the leaves and flowers. These parts when consumed by wild animals or even humans can cause gastro-intestinal irritation, mouth ulcer, nausea, vomiting, hematemesis, diarrhea, burning sensation in mouth and throat, and such others. 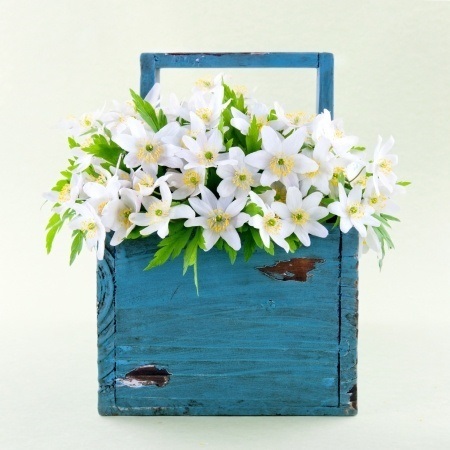 The presence of the harmful proteanemonin in this plant makes it extremely harmful and poisonous but the beautiful white flowers of this plant largely attract animals and insects. The pollination of this plant is also caused by the insects. 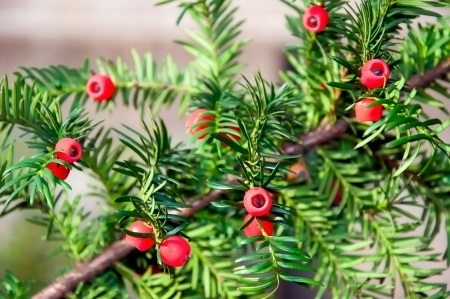 The European Yew, also known as the English Yew is a beautiful variety of conifer which is poisonous. This variety of poisonous plants contains its poison in the leaf. The leaf bases of these plants are twisted so that they can be aligned into two rows, lying flat, on either side of stem. The immature green seed cones mature to become beautiful red colored cones, which attach to the shoot of the plant. Although the leaves are the most poisonous part of this plant, all other parts also have certain levels of toxicity, other than the red aril that surrounds the seed. The wilted foliage also contains toxicity since this plant contains the alkaloid taxin in high quantity.